Breastfeeding makes me HUNGRY. I’m very OK with that because it means I eat more yummy food, but I’ve been thinking about those moms who may feel judgmental about their increase in hunger, especially if they are feeling any postpartum body image pressure. Restricting food is not conducive to maintaining an adequate milk supply but unfortunately many new moms feel the need to diet or restrict their way back to pre-pregnancy size. Our bodies change throughout our lives. For everything there is a season, and I don’t think there is anything more miraculous, beautiful or awe-inspiring as a women’s body as it grows and nourishes a baby. The most miraculous thing to me is the fact that the body knows EXACTLY how to do that, as well as what it needs to make it happen. One example is how intensely thirsty I get every time I feel the “let down” sensation as I am breastfeeding. Another is how much more aware I am of certain cravings – I can’t help but think that my body knows what nutrients I and my baby need more of. My increase in hunger has been most noticeable and I am eating very adequate and substantial meals much more often than just Breakfast, Lunch and Dinner. In making sure I stay well nourished, I am not only maintaining a good milk supply, but I also notice how much more resilient I am to the lack of sleep I am experiencing. I could still take a nap at any time – trust me – but I don’t feel nearly as run down as I know I would. 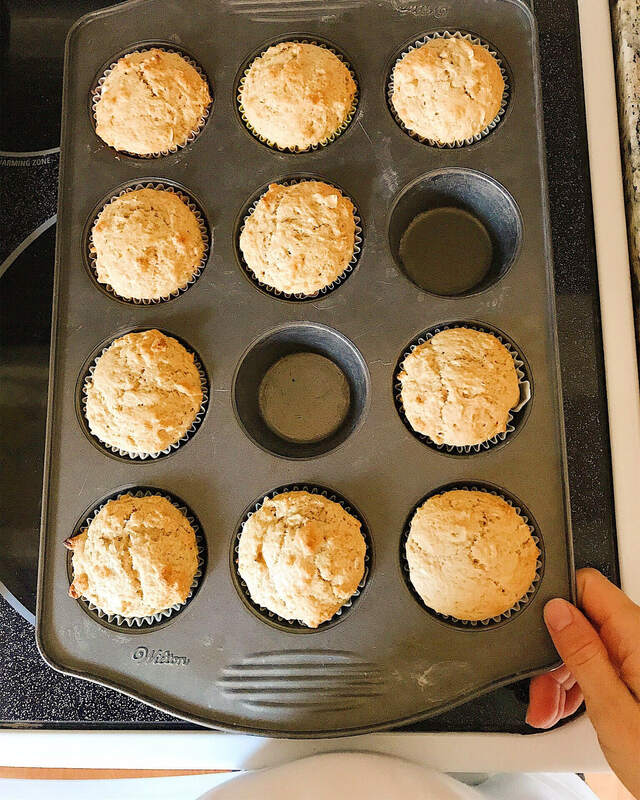 It’s helped me realize that there are ways to take care of myself that are within my control, even when other self-care items are a little less predictable (like sleep or alone time, especially with 4 kids!). I share this for any other new mom who is feeling confused by increases in hunger, feeling run-down or feeling any pressure to lose weight. I hope a discussion about this helps you give yourself permission to just take care of yourself and enjoy this season of life instead of hustling through it or feeling preoccupied with poor body image and fear of food. 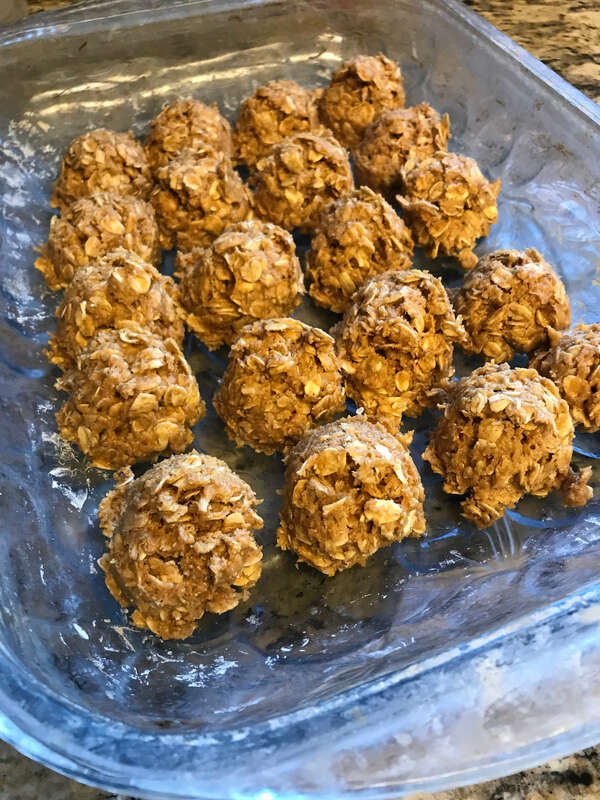 These PB balls from Immaeatthat are a family favorite, and a few of them with a banana and a glass of almond milk is one of my most favorite snacks right now. They are very easy to grab in the middle of the night if needed! 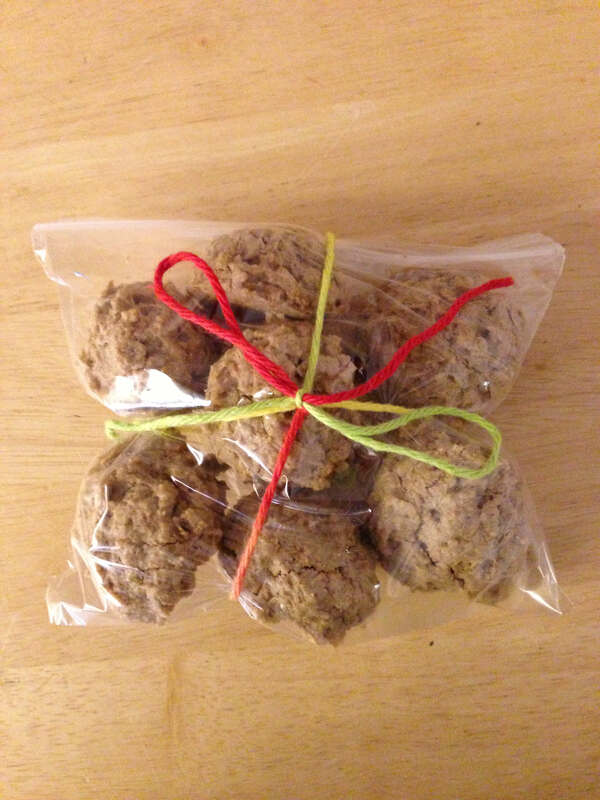 Here’s a link to 8 other energy ball recipes, the monster cookie version is my favorite! Raise of hands: who loves cottage cheese and yogurt mixed together? You’ve gotta try it if you haven’t. I love the texture of both together over either one separately and it’s also a mix of sweet and salty, which I love. These bowls are my favorite afternoon snack. It’s often what I have right before I go to work and it fuels me well. 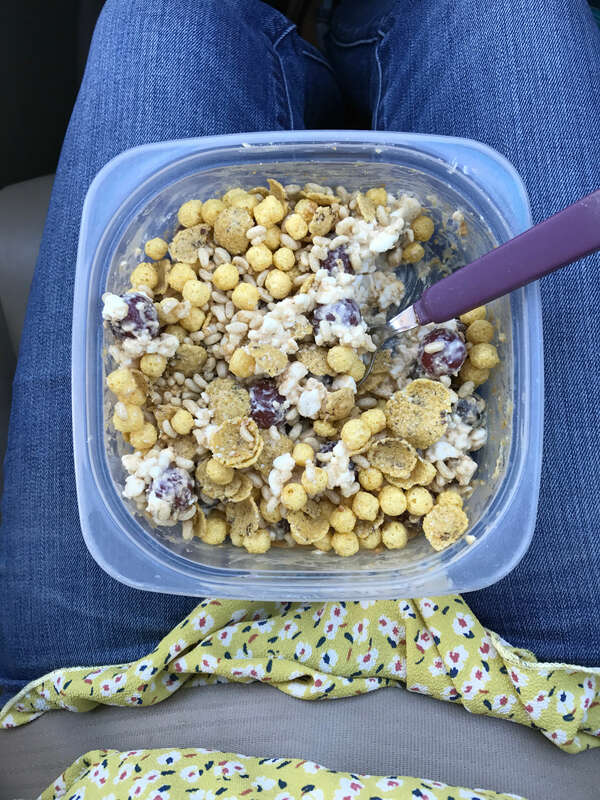 I like to pack them with lots of different tastes and textures, but usually a combination of cottage cheese and yogurt, some sort of fruit (berries, bananas, grapes, oranges, etc), some sort of nut (walnuts or peanut butter most often) and some sort of grain (cereal, crumbled up cookie, granola, etc). You can never go wrong with PB and banana, especially when it has chocolate chips. If I need something more substantial than that, I’ll make it into a PB and banana sandwich with a glass of almond milk (followed by some squares of chocolate). Lastly, you cannot beat a sweet potato topped with almond butter and cinnamon. 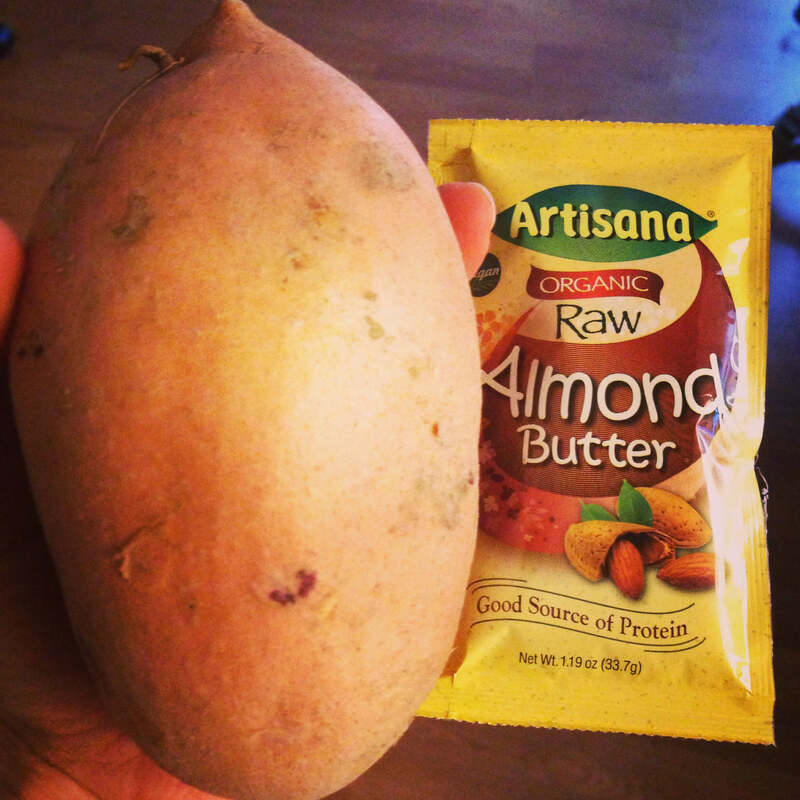 I actually don’t love almond butter, but I do on a sweet potato! Sometimes if I do want something more savory I’ll have veggies and hummus, crackers, chips and salsa/guac, hard boiled eggs or maybe some avocado toast. But whatever you prefer, I hope this discussion has been helpful in inspiring curiosity (over judgment) about hunger, what you find satisfying, what feels nourishing and how to best care for yourself! This post resonates with me as I’m a new mom of a 4 week old and have been on the struggle bus. Obviously self care is hard with a newborn and food falls into that category. 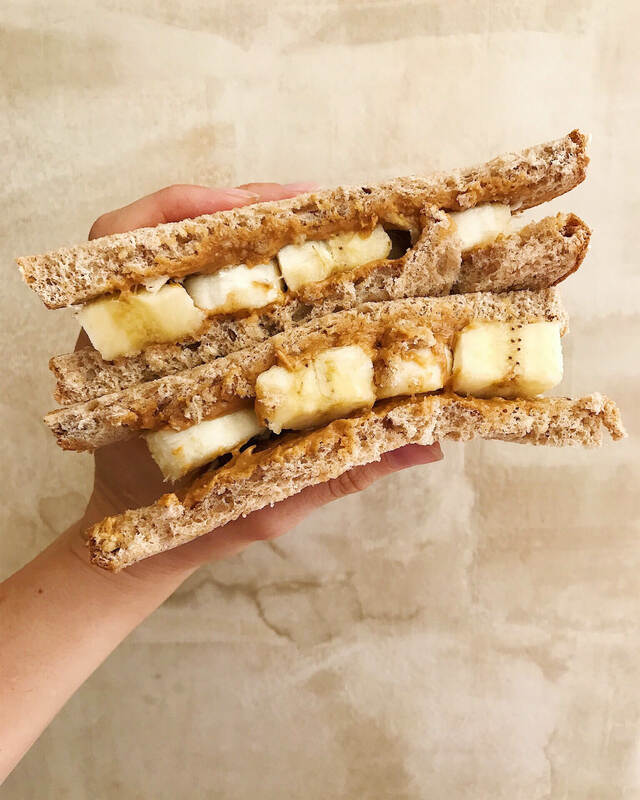 I’ve learned that it’s OK to eat faster than I want to at times, eat something that’s not my first choice because it’s what’s do-able and grabbing snacks in the night during feeding sessions is essential to falling back to sleep! The food is there to satisfy, fuel and nourish me as I put all my energy into learnin how to meet my babies needs and my own. Thanks for the meal and snack inspo to! I’ve been loving big salads with deli meat and cheese on them with a thick slice of oatmeal bread on the side. 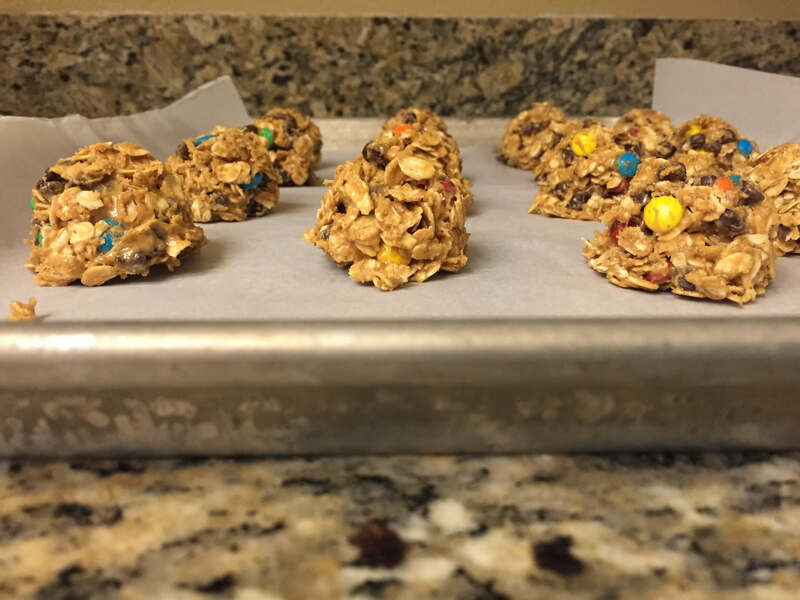 And Bobo bars, peanut butter and bananas and muffins and cereal for night snacks! Those first few weeks are so tough, Megan! Hang in there. I love your thoughts on good enough being good enough – I could not agree more, especially with a newborn!! So glad this post was helpful and I’m adding your ideas to my go-to list! Sounds delish. Yogurt + cottage cheese + all the mix-ins=YES! You should try cottage cheese+ pudding sometime! 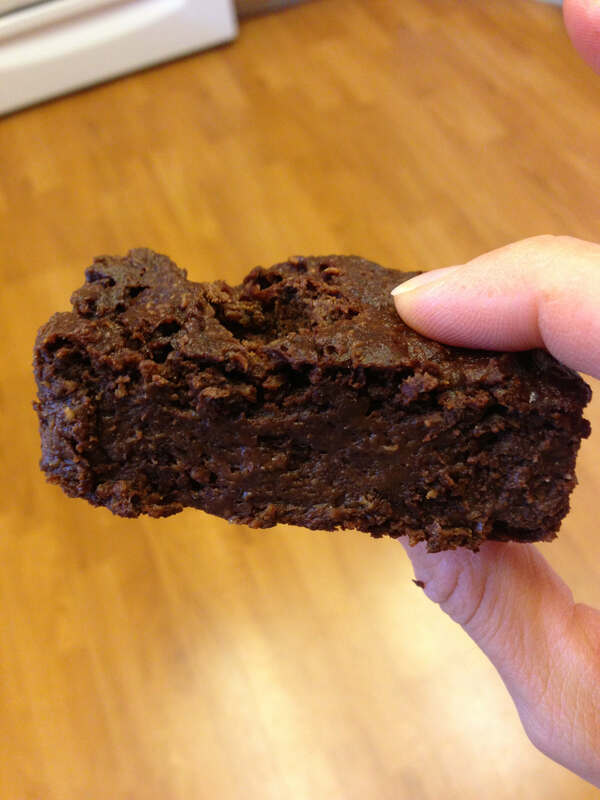 With frozen banana chunks and something for crunch. MM MM MMMM! !